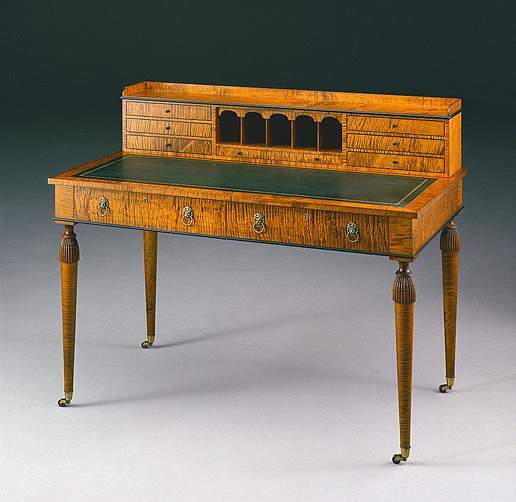 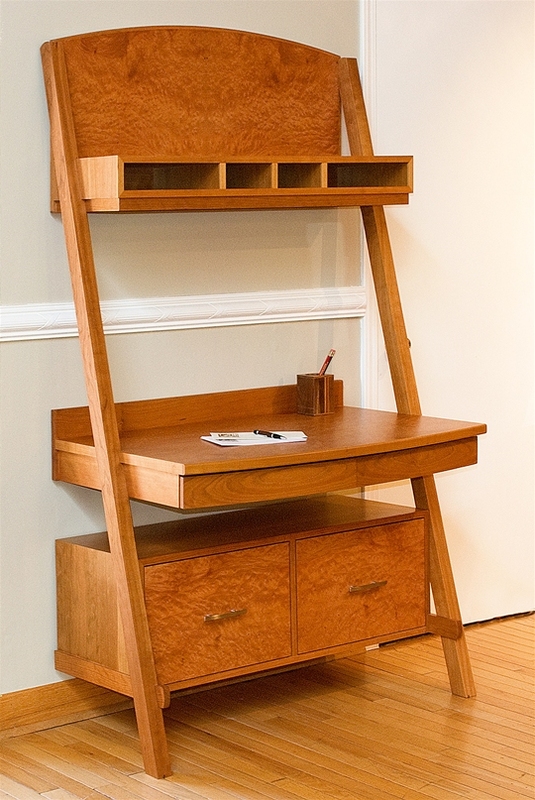 Upon first glimpse, the Leaning Desk appears to be an impossible structure. 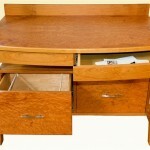 Adorned in natural cherry and luscious madrone burl it is both a work of beauty and engineering genius. 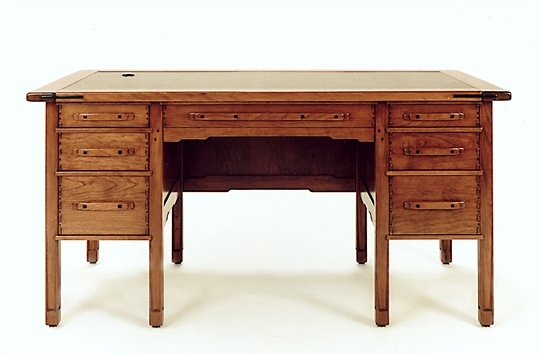 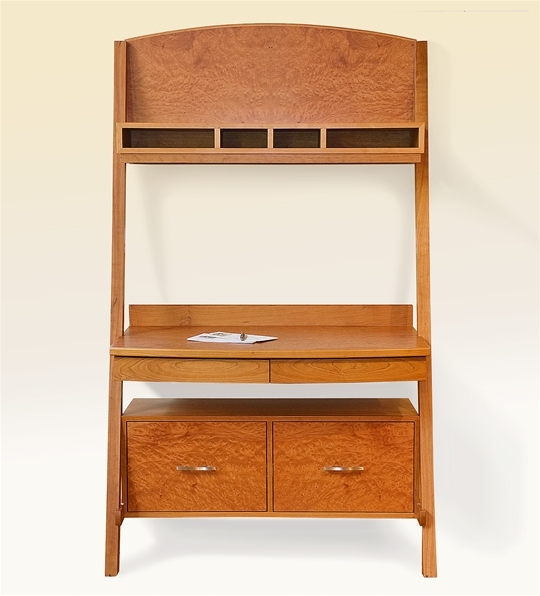 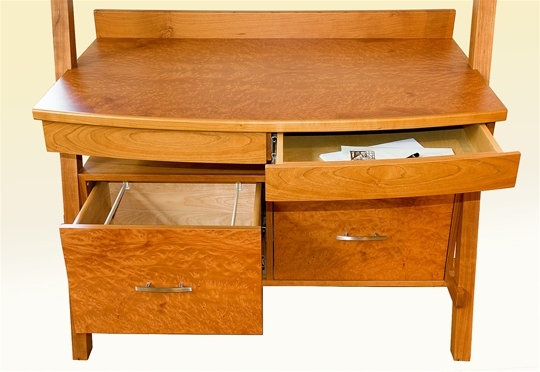 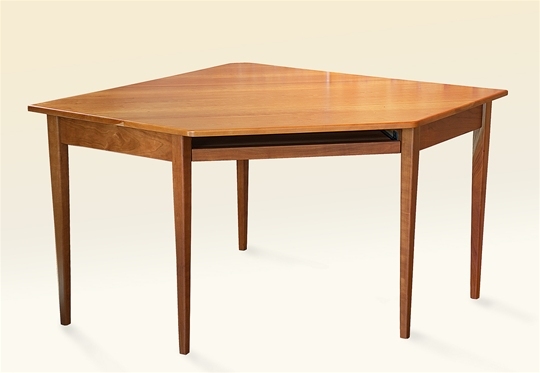 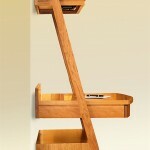 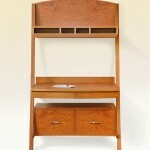 Cubbies for organizing plus file drawers make this desk a taskmasters dream!